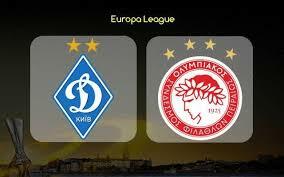 Dynamo Kiev welcomes Olympiakos in a second leg from the 1/16-finals of the Europa League. Let’s take a look at this fixture in the Ukrainian capital. The first leg between these two sides in Piraeus offered us a lot of emotions. The game ended with a dramatic 2-2 draw, which guarantees a very interesting second leg on Thursday night. But what exactly happened in the first match? Koka opened the score for the Greek team, but Vitaliy Buyalskyy equalised for Dynamo. Gil Dias once again scored for Olympiakos, but Dynamo equalised for a second time with a goal from Benjamin Verbic just one minute before the end of the game. Dynamo got really lucky here, while Olympiakos should regret about the way how they missed their lead in the result. In the Ukrainian Premier League Dynamo are 2nd in the standings, once again trailing behind Shakhtar Donetsk. The gap between these two teams is 7 points in favour of Shakhtar. Dynamo Kiev won their last two games in the league, beating Chornomorets and Karpaty. This is a good sign before the second leg against Olympiakos, but against the Greeks it’s going to be much more difficult. In the Greek Super League Olympiakos are 2nd in the standings, trailing on 9 points behind the leader PAOK. The club from Piraeus won 4 of its last 5 matches in the league, including against AEK in the last round. But still, Pedro Martins’ team remains in the position of an underdog for the title. So far PAOK are just better in the league, being unbeaten from the start of the season. The first leg between Olympiakos and Dynamo Kiev was great. We have all the reasons to expect something similar in the second match as well. At least we hope so.